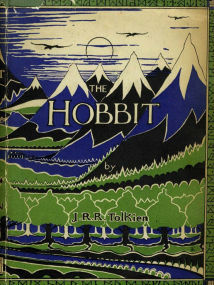 The Hobbit became such a success he was asked to write a follow up and Tolkien’s next novel The Lord of the Rings was Published as three volumes over the course of a year from 21 July 1954 to October 1955,as The Fellowship of the Ring, The Two Towers, and The Return of the King. The title of the novel refers to the story’s main antagonist, the Dark Lord Sauron, who Long before the events of the novel created One Ring to rule the other Rings of Power as the ultimate weapon in his campaign to conquer and rule all of Middle-earth and corrupt everyone. He is defeated in battle, and Isildur cuts the One Ring from Sauron’s finger, claiming it as an heirloom for his line.Sadly though Isildur is later ambushed and killed by Orcs in the Gladden Fields, and the Ring is lost in the River Anduin. Over two thousand years later, the Ring is found by a river-dwelling stoor called Déagol. His friend Sméagol immediately falls under the Ring’s spell and strangles Deagol to acquire it. Sméagol is banished and hides under the Misty Mountains, where the Ring extends his lifespan and transforms him over the course of hundreds of years into a twisted, corrupted creature called Gollum. He loses the Ring and, as recounted in The Hobbit, Bilbo Baggins finds it. Meanwhile, Sauron takes a new physical form and reoccupies his old realm of Mordor. Gollum sets out in search of the Ring, but is captured by Sauron, who learns from him that Bilbo Baggins now has it. Gollum is set loose, and Sauron, who needs the Ring to regain his full power, sends forth his powerful servants, the Nazgûl, to seize it. Meanwhile back in the Shire, the hobbit Frodo Baggins inherits the Ring from Bilbo, his cousin and guardian. Neither is aware of its origin, however Gandalf the Grey, a wizard and old friend of Bilbo, suspects the Ring’s identity. When he becomes certain, he advises Frodo to take it away from the Shire. So Frodo leaves, accompanied by his gardener and friend, Samwise (“Sam”) Gamgee, and two cousins, Meriadoc (“Merry”) Brandybuck and Peregrin (“Pippin”) Took. They nearly encounter the Nazgûl while still in the Shire, but shake off pursuit by cutting through the Old Forest, where they are aided by the enigmatic Tom Bombadil, who alone is unaffected by the Ring’s corrupting influence. After leaving the forest, they stop in the town of Bree where they meet Aragorn, Isildur’s heir. He persuades them to take him on as guide and protector. They flee from Bree after narrowly escaping another assault, but the Nazgûl follow and attack them on the hill of Weathertop, wounding Frodo with a Morgul blade. Aragorn leads the hobbits toward the Elven refuge of Rivendell, while Frodo gradually succumbs to the wound. The Ringwraiths nearly overtake Frodo at the Ford of Bruinen, but flood waters summoned by Elrond, master of Rivendell, rise up and overwhelm them.Frodo recovers in Rivendell under the care of Elrond. The Council of Elrond reveals much significant history about Sauron and the Ring, as well as the news that Sauron has corrupted Gandalf’s fellow wizard, Saruman. The Council decides that the best course of action is to destroy the Ring, which can only be done by returning it to the flames of Mount Doom in Mordor, where it was forged So the hobbits Frodo Baggins, Samwise “Sam” Gamgee, Meriadoc “Merry” Brandybuck and Peregrin “Pippin” Took, aided by the hobbits’ chief allies and travelling companions: Aragorn, a Human Ranger; Boromir, son of the Ruling Steward Denethor of the realm of Gondor; Gimli, a Dwarf warrior; Legolas, an Elven prince; and Gandalf, a Wizard set off on a perilous quest across Middle Earth to destroy the Ring in the Fires of Mount Doom. Encountering many dangers along the way including The Machinations of corrupted wizard Saruman, The Nazgul, Hordes of vicious orcs, and The Ancient Demonic and fiery Balrog. They are helped along by Galadriel and Celeborn after they take refuge in the Elven forest of Lothlórien and Merry & Pippin are befriended by Treebeard, the oldest of the tree-like Ents. who roused from their customarily peaceful ways by Merry and Pippin, attack Isengard, Saruman’s stronghold, and trap the wizard in the tower of Orthanc. The rest of the company ride to Edoras, the capital of Rohan, where they meet Théoden, King of Rohan, whom Gandalf convinces to ride to the ancient fortress of Helm’s Deep to engage Saruman’s forces, and are joined by company of the Rohirrim. Gandalf then convinces Treebeard to send an army of Huorns to the aid of Théoden at Helm’s Deep, and the Huorns destroy Saruman’s army. Frodo and Sam capture Gollum, who had been following them from Moria, and force him to guide them to Mordor. Finding Mordor’s Black Gate too dangerous to attempt, they travel instead to a secret passage Gollum knows. Torn between his loyalty to Frodo and his desire for the Ring, Gollum eventually betrays Frodo by leading him to the great spider Shelob in the tunnels of Cirith Ungol. Frodo is felled by Shelob’s bite, but Sam fights her off. Sam takes the Ring and leaves Frodo, believing him to be dead. When orcs find Frodo, Sam overhears them say that Frodo is only unconscious, and Sam determines to rescue him. Having been defeated at Helm’s Deep Sauron unleashes a heavy assault upon Gondor. Gandalf arrives with Pippin at Minas Tirith to alert Denethor of the impending attack. The city is besieged, and Denethor, under the influence of Sauron through another palantír, despairs and commits suicide, nearly taking his remaining son Faramir with him. With time running out, Aragorn, Legolas and Gimli take the Paths of the Dead, where Aragorn raises an undead army of oath-breakers bound by an ancient curse. The ghostly army help them to defeat the Corsairs of Umbar invading southern Gondor. The forces of Gondor and Rohan break the siege of Minas Tirith. Sam rescues Frodo from the tower of Cirith Ungol, and they cross Mordor. Meanwhile, in order to distract Sauron from his true danger, Aragorn leads the the armies of Gondor and Rohan in a march on the Black Gate of Mordor. His vastly outnumbered troops fight desperately against Sauron’s armies. At the edge of the Cracks of Doom, Frodo is unable to resist the Ring any longer, and claims it for himself. Gollum suddenly reappears, struggles with Frodo and bites off his finger, Ring and all. Celebrating wildly, Gollum falls into the fire, taking the Ring with him. Akallabêth (“The Downfallen” recounts the rise and fall of the island kingdom of Númenor, inhabited by the Dúnedain. After the defeat of Melkor, the Valar gave the island to the three loyal houses of Men who had aided the Elves in the war against him. 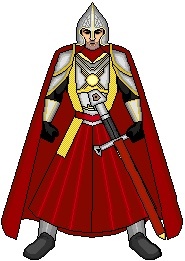 Through the favor with the Valar, the Dúnedain were granted wisdom and power and life more enduring than any other of mortal race had possessed, making them comparable to the High-Elves of Aman. Indeed, the isle of Númenor lay closer to Aman than to Middle-earth. But their power lay in their bliss and their acceptance of mortality. The fall of Númenor came about in large measure through the influence of the corrupted Maia Sauron (formerly a chief servant of Melkor), who arose during the Second Age and tried to conquer Middle-earth.The Númenóreans moved against Sauron, who saw that he could not defeat them with force and allowed himself to be taken as a prisoner to Númenor. There he quickly enthralled the king, Ar-Pharazôn, urging him to seek out the immortality that the Valar had apparently denied him, thus nurturing the seeds of envy that the Númenóreans had begun to hold against the Elves of the West and the Valar. So it was that all the knowledge and power of Númenor was turned towards seeking an avoidance of death; but this only weakened them and sped the gradual waning of the lifespans to something more similar to that of other Men. Sauron urged them to wage war against the Valar themselves to win immortality, and to worship his old master Melkor, whom he said could grant them their wish. Ar-Pharazôn created the mightiest army and fleet Númenor had seen, and sailed against Aman.The Valar and Elves of Aman, stricken with grief over their betrayal, called on Ilúvatar for help. When Ar-Pharazôn landed, Ilúvatar destroyed his fleet and drowned Númenor itself as punishment for the rebellion against the rightful rule of the Valar. Ilúvatar created a great wave, such as had never before been seen, which utterly destroyed and submerged the isle of Númenor, killing all but those Dúnedain who had already sailed east, and changing the shape of all the lands of Middle-earth. Sauron’s physical manifestation was also destroyed in the ruin of Númenor, but as a Maia his spirit returned to Middle-earth, now robbed of the fair form he once had. Some Númenóreans who had remained loyal to the Valar were spared and were washed up on the shores of Middle-earth, where they founded the kingdoms of Arnor and Gondor. Among these survivors were Elendil their leader, and his two sons Isildur and Anárion who had also saved a seedling from Númenor´s white tree, the ancestor of that of Gondor. They founded the Númenórean Kingdoms in Exile: Arnor in the north and Gondor in the south. Elendil reigned as High-king of both kingdoms, but committed the rule of Gondor jointly to Isildur and Anárion. The power of the kingdoms in exile was greatly diminished from that of Númenor, “yet very great it seemed To the Wild Men of Mddle Earth. The Children of Húrin was also published posthumously by Christopher Tolkien and tells the unfortunate story of the Children of Hurin Thalion who was chained to a rock by the evil Melkur/Morgoth and forced to watch the ultimately tragic downfall of his son Túrin Turambar who is separated from his sister Nienor from an early age and sent to Doriath, and after at first proving himself to be a mighty warrior and achieving many great deeds in Middle Earth and defeating many enemies, falls foul of the sinister machinations of the evil dragon Glaurung around the fall of Elven kingdom of Gondolin. The material was compiled by Christopher Tolkien from The Silmarillion, Unfinished Tales, The History of Middle-earth, and unpublished manuscripts. I have recently watched Gravity again on DVD , directed by Alphonso Cueron (Prisoner of Azkaban, Children of Men and Y Tu Mama Tambien), with a script by Cueron and his son Jonas, cinematography by Emmanuel Lubezki and visual effects by special effects wizard Tim Webber, it won 7 Oscars at this years Academy Awards and offers thrills, danger, humour and dazzling special effects, although some are bound to say it looks better in 3D on a cinema screen. It stars Sandra Bullock, as Bio-medical engineer Dr. Ryan Stone, a Mission Specialist on her first space shuttle mission, STS-157, who is accompanied by veteran astronaut Matt Kowalski (George Clooney), who is commanding his final expedition, to service the Hubble Telescope. However during the final spacewalk Mission Control in Houston warns Stone and Kowalski that a field of Debris from a Russian missile strike on a defunct satellite is hurtling rapidly towards the Space Shuttle at high speed and they must abort the mission. Shortly afterward, communications from Mission Control are lost, though Stone and Kowalski continue to transmit in hopes that the ground crew can hear them.